Environmentally friendly Slug & Snail bait. Non-toxic to wildlife, pets & people. Application rate is 1 pound / 1000 square feet. Scatter around base of plants where you see trails. Repeat the application as needed for new hatches or invasions. Snails and slugs usually stop feeding immediately once Sluggo is consumed and typically die within 3 – 6 days. Remains effective after irrigation or rain. The bait granules should be scattered on the soil around or near the plants to be protected. Apply bait evenly at approximately 1 pound per 1,000 square feet and reapply as the bait is consumed or at least every two weeks. Do not place in piles. If the ground is dry, wet it before applying bait. The soil should be moist but with little or no standing water. Reapply as the bait is consumed or at least every two weeks. 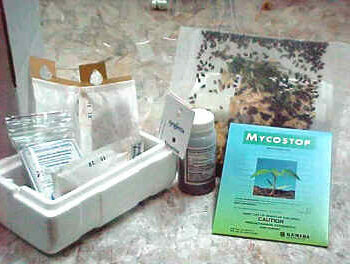 Apply more heavily if the infestation is severe, if the area is heavily watered or after long periods of heavy rain. See specific directions for different plant types and for inside greenhouses. 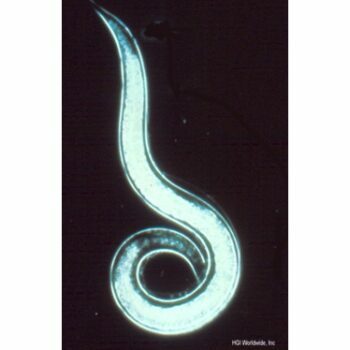 Evening is the best time to apply the bait, as slugs and snails travel and feed mostly by night or early morning. All likely areas of infestation should be treated, especially around the perimeter of garden plots because these pests travel into plant areas from daytime refuge sites. They favor damp places around vegetable plants such as beans, tomatoes, lettuce, cabbage, celery and squash, and in weeds or ditches around field margins. Other favorite areas are flower gardens, rockeries, hedges, dichondra lawns, citrus groves, ivy patches and other ground cover where they obtain shelter by day. 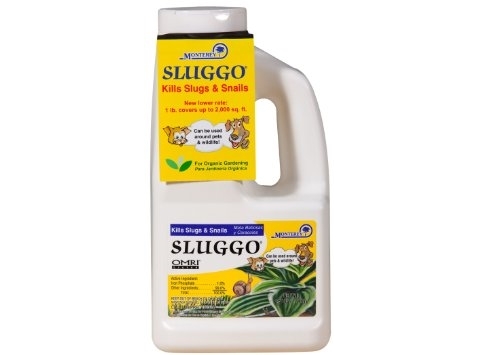 Where slugs or snails are a problem in greenhouses, scatter the bait in the plant pots of plants being damaged or around pots on greenhouse benches. Apply about ½ teaspoon per 9″ pot. Sluggo can be used to protect any vegetables form slug and snail damage. Scatter the bait around the perimeter of the vegetable plot at approximately 1 lb. per 1,000 square feet to form a protective barrier against the garden pests. If slugs or snail are inside the rows, scatter the bait on the soil around the plants and between the rows. For seedlings, spread the bait around the base of the stem. Apply at 1 level tablespoon per square yard, in a 6 inch circular band around the base of the plants to be protected. For older trees, spread the bait around the base of the trees to intercept slugs and snails traveling to the trunk. Use 1 pound Sluggo per 1,000 square feet for orchards using standard fertilizer granular spreaders. Use Sluggo Slug & Snail Bait at the rate of 1 pound per 1,000 square feet. If slugs or snails are already in the plots, spread bait between the furrows near the base of the plants. Do not spread over the entire area, but apply selectively. At the seeding and later stages, apply the slug & snail bait between the rows and around the perimeter of the field. Scatter pellets at a rate of 44 pounds per acre. Scatter bait in a six inch circular band around the base of the plants to be protected at 1 level tablespoon per square yard. If plants are next to a grassy area, spread the bait between the ornamentals and the grass. Slugs and snails traveling to the plants will encounter the bait before reaching the plant. In these situations, scatter the bait around the perimeter of the plot at approximately 1 pound per 1,000 square feet to intercept snails and slugs traveling the plot. Sluggo can be used to protect lawns and grass seed crops. When slugs or snails are detected, scatter the bait at a rate of approximately 1 pound per 1,000 square feet. Scatter by hand or with a granular spreader where the slugs or snails are observed. Contains Iron phosphate together with a Non-toxic bait.